Norwood Delite has certainly withstood the test of time. Sandwiched by an apartment building and elementary school, it's easy to see that the young population keeps this creamy whip in business. The facade built with shades of brown and salmon pink will immediately transport you back to the 1960s and carefree summers as a child. Keeping it simple, the ice creamery serves up vanilla, chocolate, and swirled soft serve, as well as eight FlavorBursts featuring vanilla swirled with a flavored syrup. 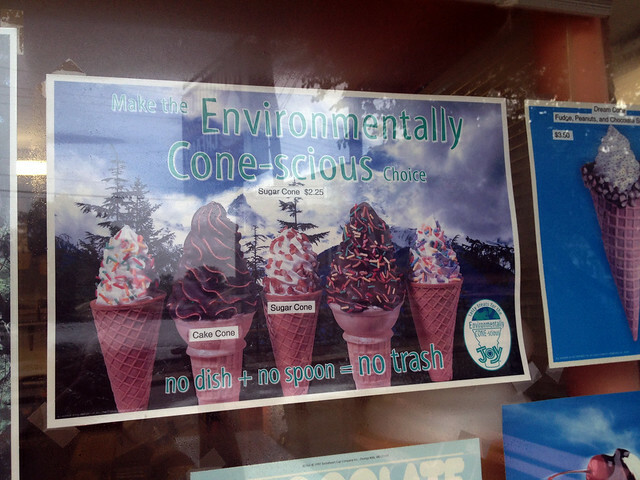 Norwood Delite is also know for being "e-cone-friendly," offering most of their treats in a cone or waffle bowl instead of styrofoam cups in order to reduce waste. To encourage customers to select a cone for their treat, the owners have invented different flavors of cones to pair with ice cream flavors, and even created a sundae in a waffle cone with your choice of fudge, strawberry, caramel, or pineapple topping plus whipped cream and a cherry. 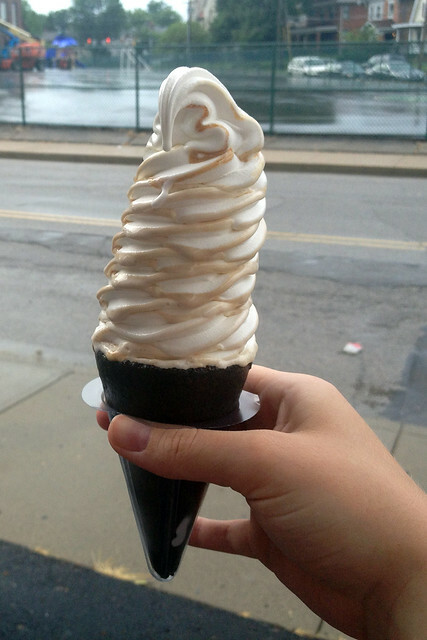 During our visit, we tried an Oreo cone with peanut butter FlavorBurst softserve. 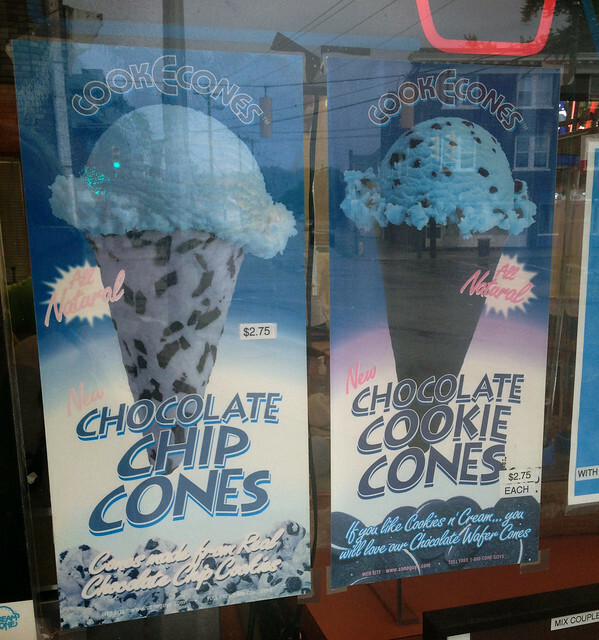 They also offer chocolate chip cookie cones, which would pair well with the regular vanilla or chocolate soft serve. 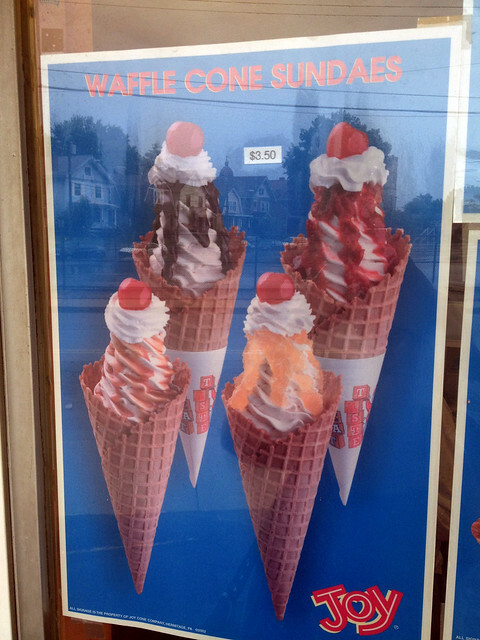 If you're going for one of the more exotic fruit FlavorBursts, I'd recommend sticking with a traditional waffle cone. 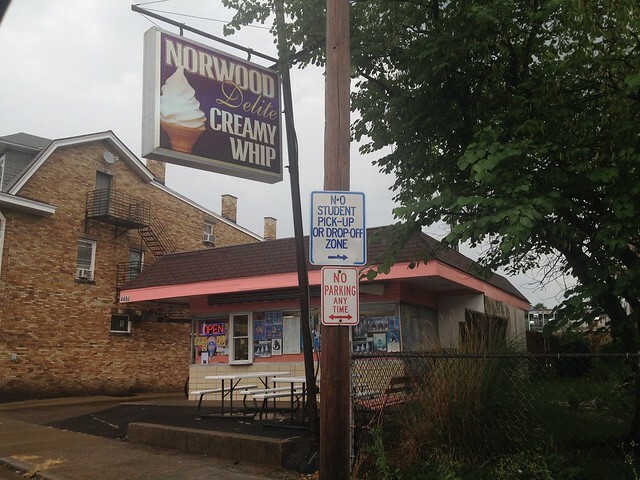 With several outdoor picnic tables, small parking lot, and ample on-street parking, Norwood Delite is that old school, no-frills creamy whip you adored growing up.